NFPA 72 specifies the locations where, when provided, a two-way telephone communications equipment shall be installed. When provided, the telephone equipment is to be used by the fire service to communicate between an area of a building and a constantly attended location; such as the fire command station. Typically, when these headsets are lifted, the fire command station will know the exact location of the caller. In the event that the control equipment does not indicate the location of the caller, a placard shall be placed on the telephone equipment so that the caller can identify there location. 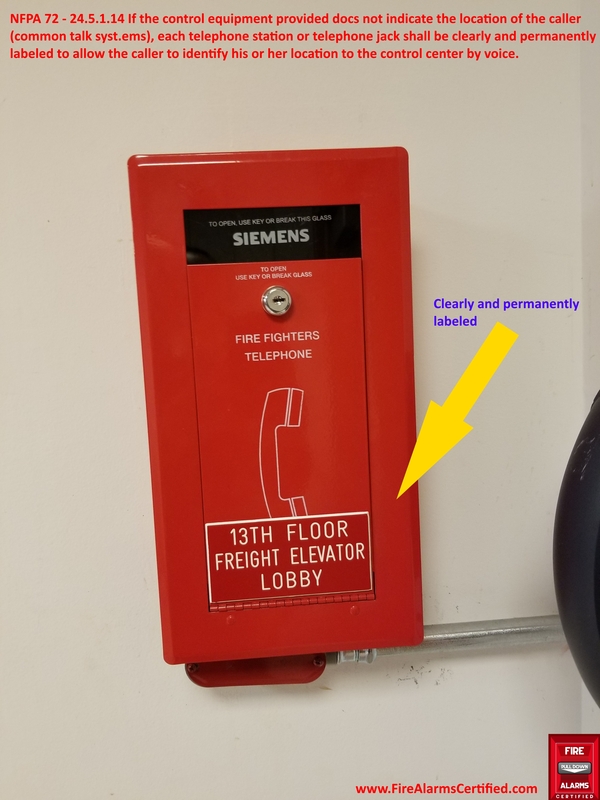 If the person operating the phone is within an area of a building that is engulfed in smoke and cannot locate where they are, the placard on the telephone equipment can be used to identify the callers location. 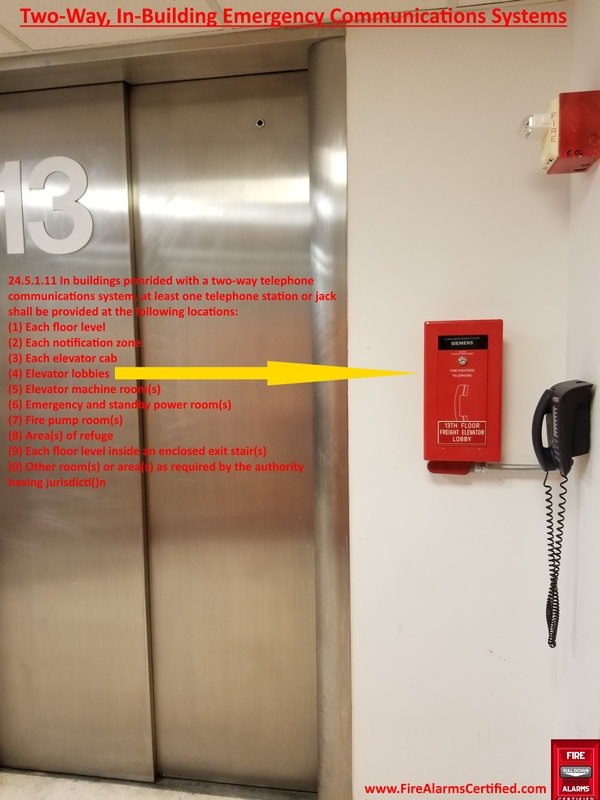 Below are pictures of two-way telephone equipment installed in a hospital (high-rise).